This is an easy version of the traditional cold-weather classic. 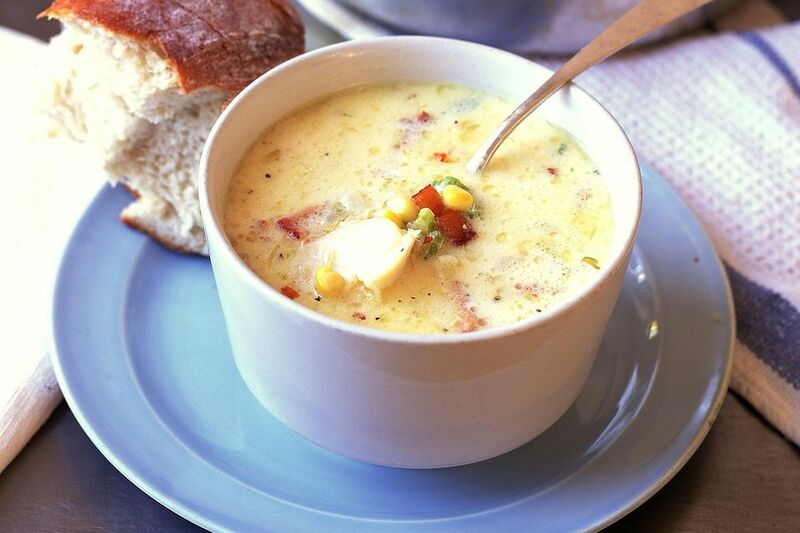 The small amount of bacon gives this corn and potato chowder its signature flavor. In a heavy bottom soup or saucepot, sauté the bacon in the butter on medium heat until the bacon is cooked, but not crisp. Add the flour and onion, and cook for 5 minutes. Add the potato, corn, milk, salt, black pepper, and stir well. Bring up to a gentle simmer, reduce heat to low and cook, occasionally stirring, until the potatoes and onions are tender. Ladle half the chowder into a blender and blend into a fine puree. Add back into the pot with the other half the un-blended mixture. Adjust the seasoning and serve immediately.